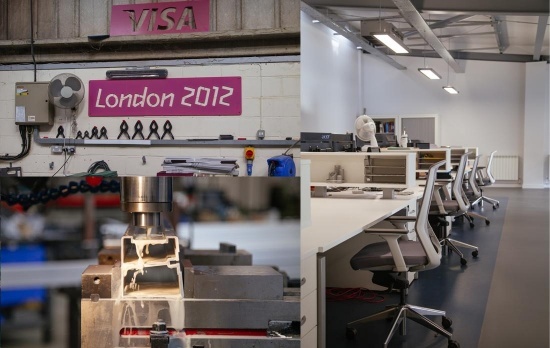 Ask any of the team at the Harrod Sport Innovation Centre whether they like their job and why, and the answers have a common theme. "I've always been really into sport," explains Tom. 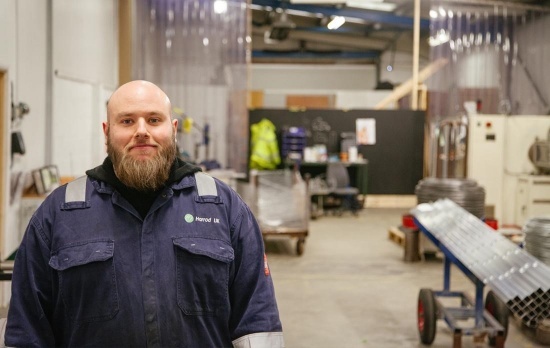 "And I trained to be a Design Engineer, so this is the ultimate job for me! I love designing and making things - and seeing the equipment used at venues like Arsenal or Spurs is amazing." 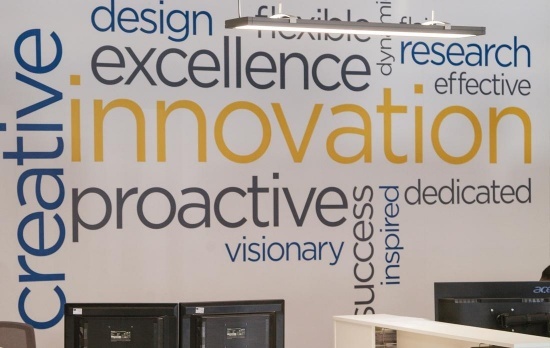 Passion and expertise is the equation at the heart of the Innovation Centre. While Harrod Sport have always had innovators working in R&D in various parts of the business, they were brought together in a brand-new facility in early 2017. With more space and a united team, the building now houses the designers as well as a development workshop and team of R&D technicians. As Design Manager Mark Smith says: "There's a special feeling about being in here: we're at the cutting edge, we can do anything. "There's a pressure that comes with that… But we like that," he smiles. Mark explains that there is more than one side to innovation: while some of the team's work is solving the challenges their customers encounter with new technology and new thinking, much innovation is focused on improving current lines - making them last longer and cost less. "The additional space we have in the Innovation Centre has allowed us to expand our existing range of NC and CNC processes. The acquisition of a new 3 axis CNC mill now offers us the latest ProtoTRAK® technology. This has enabled us to get certain products to market quicker." "In the past we might have had to have a drilling jig manufactured for a product. It might have taken 15 hours to make and cost £500. The R&D technicians now have the additional capacity on our new mill to write a program for it and make the part without the drilling jig." The key benefit to customers buying standard products is that they are often created and refined using the wisdom and technology that informs some of the most innovative projects Harrod Sport work on. "For a standard product, customers are getting the best quality they can get - the lightest, strongest equipment - to meet regulations. And this will come from our machinery, technology as well as our knowledge of aluminium and other improvements in raw materials." "For customers who want something bespoke, we can send an engineer to them to understand the challenge and how best to tackle it - rather than just looking at pictures or chatting on the phone. "We are the experts in the industry," states Mark boldly, before continuing: "But we can't just say that, we have to go out and talk to people and solve their problems to prove it." As such, the team have built great relationships with organisations such as England Hockey for whom Harrod Sport created a whole range of shelters, trolleys and storage racks for the London 2012 Olympics and, more recently, bespoke shelters when they moved into their new stadium. The team have also found themselves consulting the groundsmen at Premier League football clubs such as Tottenham and Manchester United. 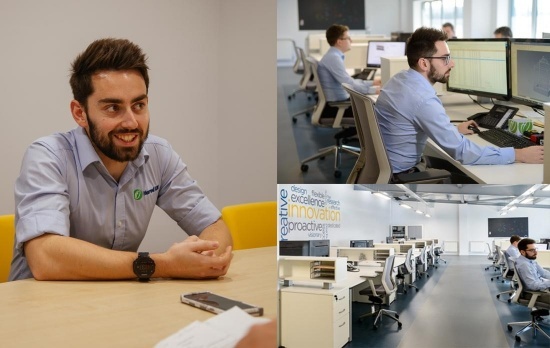 "The Innovation centre and its facilities mean we can prototype quicker. If we can create them quicker, then we use less resource and the final cost to the end user is reduced." "We solved a big problem for Wembley with their NFL goals," explains Mark. "They needed to hang a net behind the goal so when they kicked the field goal you can pull a net up and catch the ball. They didn't know how they were going to do it because you can't just put posts up. "We visited them and came up with the solution: we had riggers on the roof who dropped down a wire to hang the nets from the rafters. The groundsman at Wembley put his arm around me and said: 'Harrod have done it again!' That was a highlight for sure," he beams. Looking over the shoulders of the designers is like peering into the future. With state-of-the-art software we are able to build 3D worlds to better contextualise the challenges and solutions we and our customers face. A key piece of equipment is the unassuming 3D printer. "Since we've invested in the 3D printer we've been able to produce a lot of concepts," explains Mark. 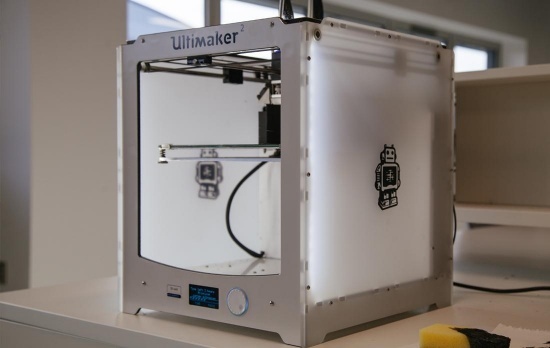 "It gives us the ability to quickly create a prototype to see if it works. "Before we had it we had to purchase parts or order them in if we couldn't make it. There's a lead time and a cost to that. Now we're quicker to bring new ideas to life." "I love designing and making things. Seeing my concepts coming alive." 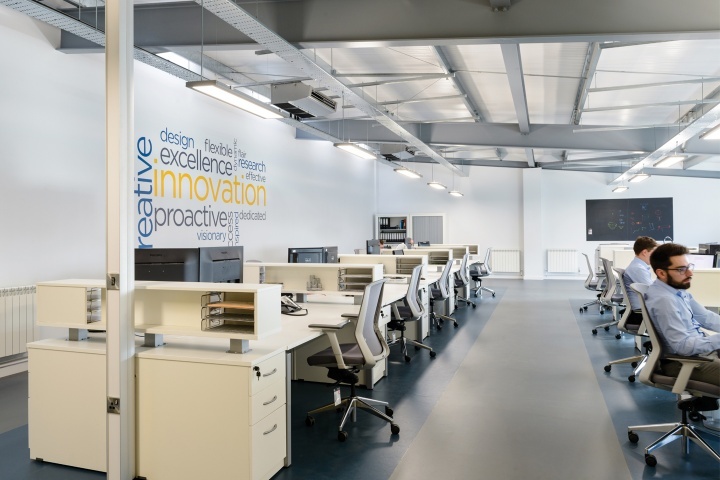 The Innovation Centre has not only created an atmosphere of endless possibilities, but has facilitated and encouraged skill sharing and broadening. "There are three technicians in the R&D team," says Mark. "But until we moved into the new facility, only two of them had access to CAD to design jigs. Following the move, the whole team now have access to CAD and all other IT software utilised at Harrod Sport". 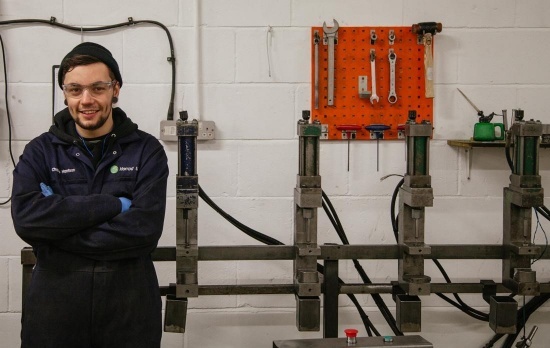 "The R&D team have a wealth of manufacturing skills and sharing the same office has enabled us to draw on this more at the development and prototyping stages ensuring new products are also 'designed for manufacture'. Uniting both sport and horticultural engineers doubles our knowledge base and problem-solving capabilities." The company also hold informal off-site innovation forums. "The relaxed atmosphere is a great way of getting conversations going. People don't hold back because there's no pressure, you can just float ideas. We've had some great ideas come from those sessions. "Someone might have come across a new sport… Somebody knows virtual racing is a growing sport - how can we get involved? What can we bring to it? We talk about new markets and new ideas for those markets. Someone might have an idea for a new piece of machinery. There's no agenda, just brainstorming." "While we're fully invested in innovation, we will never forget importance of people: finding and nurturing the best people to work with the people who buy our products." 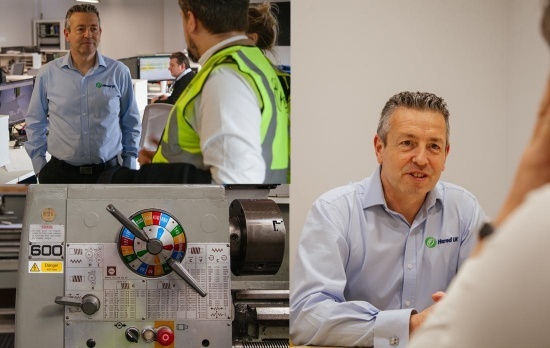 As Mark explains, trust is essential, and by working closely with our customers we're able to earn that trust by solving their problems - in good time and on budget. "Feedback? The results are the feedback," he says. "Receiving orders is the best feedback." "We receive great feedback from England Hockey, they know we'll solve any problem they have. "The same can be said for Wembley. We've worked with three groundsmen at Wembley since the new stadium and every time we pick up where the last one left off. It's the same at the National Training Centre. We have a great relationship because they know we can deliver what they need. "It's nice," says Mark reflectively. "We like to pride ourselves on being the leaders in the field and for the major players in the sport to come to us just rubber stamps that." We ask Mark what the future holds: what exciting projects are they working on? What innovations will we be seeing that we've never seen before? A moment of silence falls. "You're not allowed to tell us, are you?" I say. "No," he says, almost with apology. He then smiles and says: "Sport isn't growing: there aren't many big new sports. And the market for existing sports isn't getting any larger. So we're looking into other areas of innovation." Mark is careful not to give the game away, but explains that there is certainly scope to work with technology…"
"…but I'm afraid I can't tell you what." Cryptic all this may be, but it does raise a point that is highlighted when I ask to take pictures of some the designers at work: we have to make sure we don't capture anything on the screen that may be a classified work-in-progress. These designers are working at the cutting edge of technology - concepts and designs that may become patents and IP - and it's important to protect that unique service. It is exciting to see the next generation of sport equipment take shape before your eyes - all the more exciting for the designers creating it and the customers who benefit from it. Read about the creation of the Innovation Centre.